[Easy Email Cash System] Is it too late to building your email list from scratch…? I seriously only just started building my email list around 1 year ago, back when I launched my first WSO guide in February 2014. Mind you...I’ve been doing internet marketing since 2005. But I’ve barely started building my email list in 2014!. Email marketing is truly the ONLY consistentincome I make nowadays online! It’s not too late to start building your own list in 2015! With the Easy Email Cash System. This course is not just for people BRAND NEW to list building, but it also reveals advanced email marketing strategies that even veteran IMers can learn plenty from. You have 30 days to try out this system. If you don’t find this system useful for any reasons; you’ll get 100% of your money back, no hassles, no questions asked. The C.A.B Grab System – WSO Of The Day: July 28, 2014 [LIST PROFIT HACKS!] Email List Optimizations and Hacks! 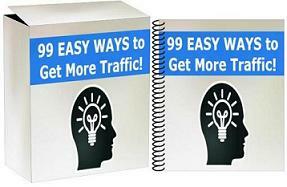 PLR WSO: Timeless List Building eBook [PDF Cash Machines] – New Twist In List Building With Free Ebooks! By Leon|March 17th, 2015|List Building|Comments Off on [Easy Email Cash System] Is it too late to building your email list from scratch…?